Bando Mitsugorô in the role of an evil aristocrat. Print size: 29.5 x 42 cm. 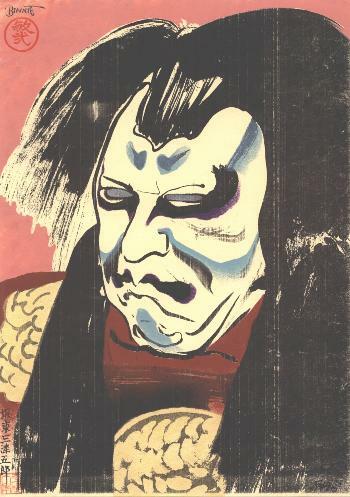 Published in 1996 in an edition of 20 (this being 5/20), this print is unique in Binnie's oeuvre as it is a combination of lithograph and kappazuri. Signed "Paul Binnie" in pen.